What is Reiki & What does it do? Reiki--is a combination of two Japanese words that mean Universal Energy re-discovered by Dr. Mikao Usui. We see the effect of this "Universal Energy" daily in our lives. When we walk into a room, sometimes we get an uncomfortable sense, while other places feel warm and welcoming. All things are energy, and when we instinctively feel something is off. Reiki can often help bring things back to balance by removing the obstacles from the path of self-care. One only needs to allow themselves to receive the practice. Reiki works well when the word "too" seems to be a reason we're not prioritizing our own wellness. When a "too" keeps us from doing important things, it is a sign that something is compromised. We have good ideas, yet find it hard to put them into action. It may be physical, mental, or emotional...it may be a present, past, or intense crisis or trauma... however, it is all energy. 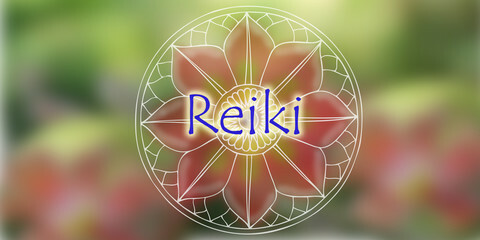 Reiki is a simple restorative practice that helps unwind the tension we carry. This allows a clearing of the path to wellness, creating space for us to follow through with our intentions. As part of our vision to keep wellness practices accessible to everyone, we've made it even easier to work with Reiki to clear your path. We believe in the power of this practice and wish to share it with you. Click below to schedule your three sessions for the price of two NOW!